Camp Quinebarge is New England’s best kept secret for over 80 years. Campers have been going to Quinebarge every summer to get exactly what they want:FUN AND FRIENDS. Quinebarge brings kids together and changes their lives forever. 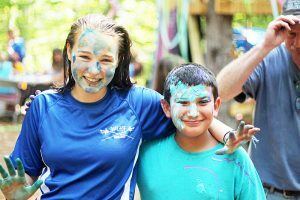 Our program, food, and waterfront make it the best sleepaway camp in New Hampshire. Your camper’s ability choose their activities – including sports, adventure, arts and crafts, ceramics, nature, boating, woodshop, and horseback riding ,makes for the best summer of their life. Campers customize their schedules each week. Evenings at Quinebarge are full of laughing and memories your child will never forget. 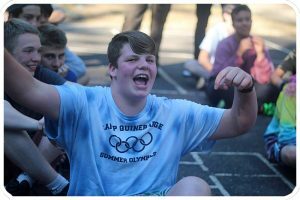 We offer a wide range of evening programing, including capture the flag, skits, laser tag, catch the counselor, regatta ya gotta and many more . We also never repeat an evening activity in a session. 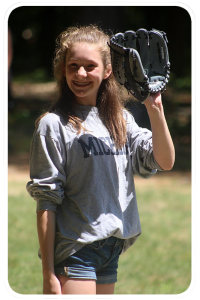 Your camper will be doing skits, playing capture the flag, and bonding with their cabin during each evening activity. At Quinebarge we offer delicious, healthy meals for all of our campers’ needs. We are nut-free , and offer a range of options for gluten-free, dairy-free, vegetarian, or vegan diets. Some of our meals include: Our salad bar is open for lunch and dinner, and we always have extra options for picky eaters. Our campers love the food at Quinebarge. One of the best physical features at Quinebarge is our waterfront. 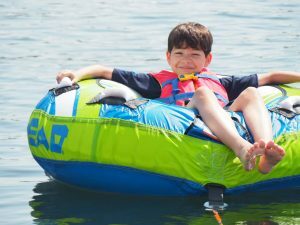 The waterfront has so much to offer from our trampoline to our pontoon boat that our campers go tubing on, sail boats, kayaks, canoes and more. Campers have a daily swim lesson and in the afternoon the whole camp is on the waterfront for our free swim and water and beach games. There is nothing so fun as a hot afternoon on the waterfront at Camp Quinebarge.